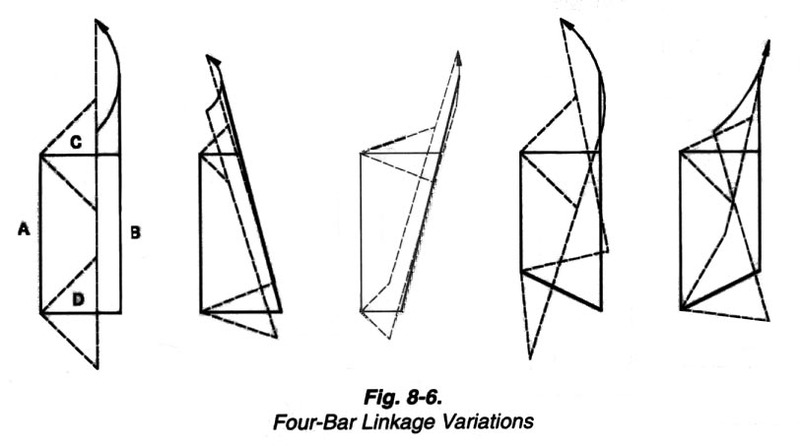 The following figures are taken from Edwin Wise's "Animatronics: A Guide to Animated Holiday Displays", Prompt Publications, Sams Technical Publishing. 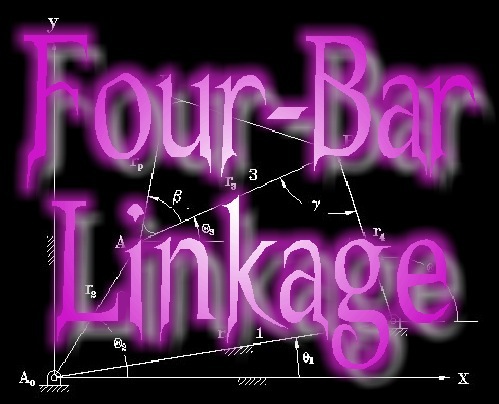 Figure 8-3 depicts a four-bar linkage. In this figure, bars A, B, C and D are referred to as the Ground, Coupler (the bar whose motion we are trying to control), Crank (the driven bar) and Follower, respectively. Figure 8-6 depicts how the ratios of A:B and C:D affect the coupler's motion. The 2 Scary Guys Body Slinger is based on these principles.